ifva is, and has always been, a platform for all creative talents to manifest their creativity, which is never distant and inaccessible. The festival will be unveiled by the media arts exhibition “CINEMA 2.0: Dark Mirrors”, which starts with the face that every person possesses and delves into an exploration into the relationship between cinema and human portraits. 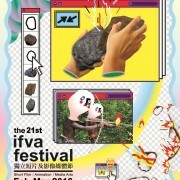 At the same venue, works by finalists of the Media Art Category of the ifva Awards will be exhibited, covering ordinary topics in extraordinary expressions, pushing the boundaries of the media employed. 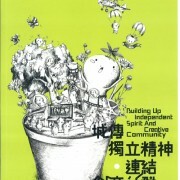 The Animation Category, receiving entries from Asia for the first time, proves to be equally creative. For short films in other categories, even the scales of production are much smaller than any blockbuster, they demonstrate a creativity akin to the DIY theme of this year’s trailer. 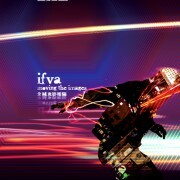 The jurors of the ifva Awards are, without exceptions, exceptional creative talents. Taiwanese director Tom Lin will be attending the Festival to share with audience his works and experiences. 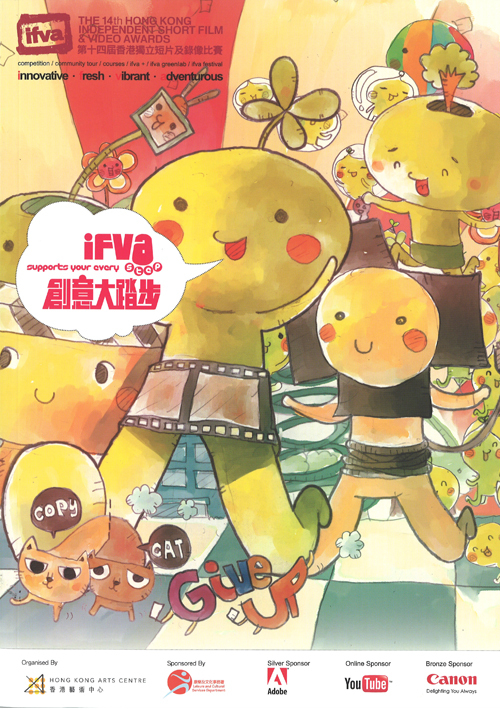 Local independent filmmaker Fruit Chan, known for low-budget but high-quality productions, made the acclaimed Little Cheung, and the film is selected for Jockey Club ifva Everywhere – People Cinema. 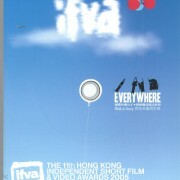 Jockey Club ifva Everywhere includes other programmes, such as the 48 Hour Film Challenge that squeezed the creative juice out of the contestants with a tight deadline. These works will be screened in a theatrical setting for the first time. Also showcase of ifva’s initiative, “All About Us” that offers media education to ethnic minority youths, will have the participants’ works shown at the Festival. Short films that went to France under the “HONG KONG SHORT FILM: NEW ACTION EXPRESS” initiative will be returning to Hong Kong for local audience to enjoy all at once during the ifva Festival as well. Creativity is never out of reach, as long as you look for it. 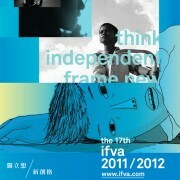 ifva has provided a laboratory for creative talents. Works which enter the final round are of course the results of numeral trials. The jurors also want to recommend works that have demonstrated their courage and thoughtfulness in manifesting their ideas to the audience. “CINEMA 2.0: The Phantom Machine” media art exhibition explores cinema as a media and its relationships with memory and temporality, with works that might be considered as experiments to resist the passage of time. 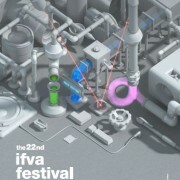 At the same spot works from the Media Art Category of the ifva Awards will be presented. Creative experiments need a solid foundation of knowledge and vision, and a global horizon helps to lay that. This year ifva collaborates with Toronto Reel Asian International Film Festival and Singapore Objectifs Centre for Photography and Film to bring forth “Home and Mobility”. Taiwanese director Shen Ko-shang is also bringing his shorts to share with Hong Kong audience. ifva is dedicated to nurture the next generation to become daring in experiments with images, through programmes such as “All About Us”. The Festival is showing films from the project, as well as those from “HONG KONG SHORT FILM: NEW ACTION EXPRESS”. The “48-hour Film Challenge” under Jockey Club ifva Everywhere is filled with experimental spirits. Eight teams courageously joined the experiment of pushing the boundary of film production. These shorts will be screened again at the Festival as well. 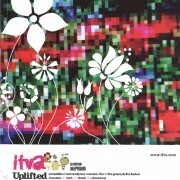 Participants of the ifva Awards are all carrying sparks of creativity, ignited through their works. For all five categories of the Awards, works that have entered the final round all have their creativity exploding, as you will have a chance to experience at the Festival. For those failing to become finalists but still recommended by our jurors, you still see the fire of creativity burning, equally vigorously. “Surveillance” seems to be in conflict with “creativity”, but the media art exhibition “CINEMA 2.0 – Surviving the Glass System” will examine how creative practices can be intriguingly connected to surveillance, if not to the extent of being fueled by it. 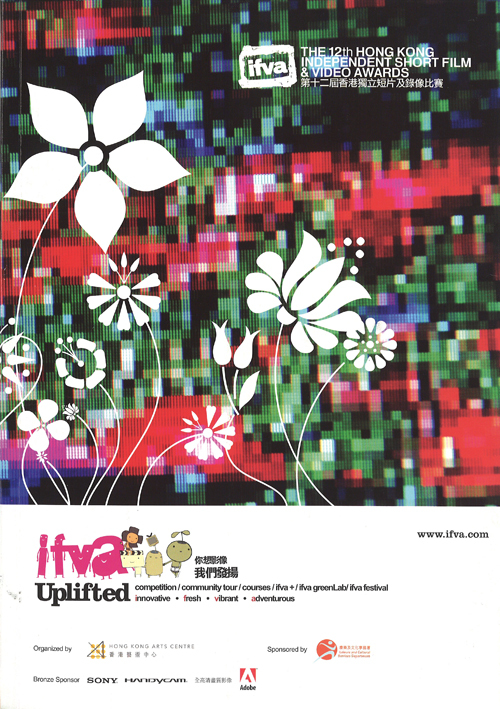 To pass on the torch of creativity, ifva has been organising various image media education programmes, such as “ifva Young Filmmakers” and “All About Us”. Fruits of these projects, alongside selected works from “HONG KONG SHORT FILMS: NEW ACTION EXPRESS”, will be showcased at the Festival. 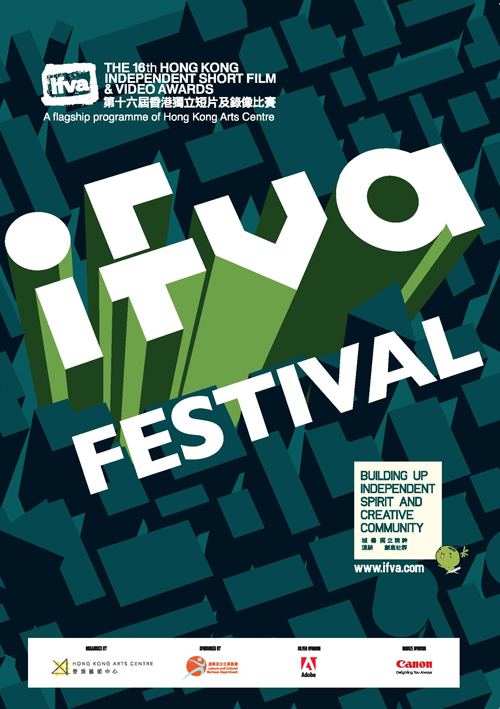 The newly launched Jockey Club ifva Everywhere project, exclusively funded by The Hong Kong Jockey Club Charities Trust, will have some activities featured at this year’s ifva Festival, such as Master Class and Open-air Screening. Don’t miss them! 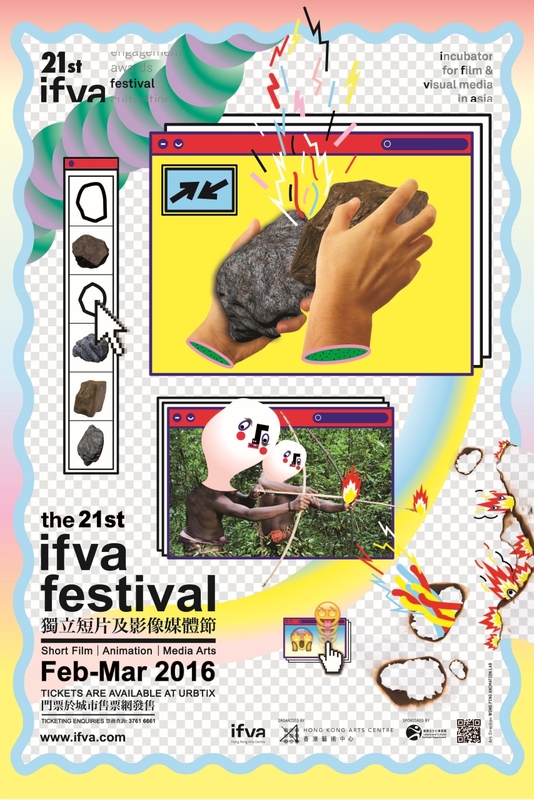 This year sees the 20th edition of the ifva. For two decades, ifva has committed itself in promoting short films and media arts and in celebrating artistic creativity. A programme that draws on gems in the past and shed light for future appears to be the best commemoration of ifva’s 20th anniversary. 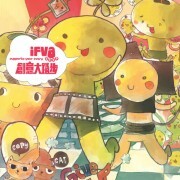 In retrospect, the gold award winning titles are indeed the creme de la creme of ifva’s repertoire. 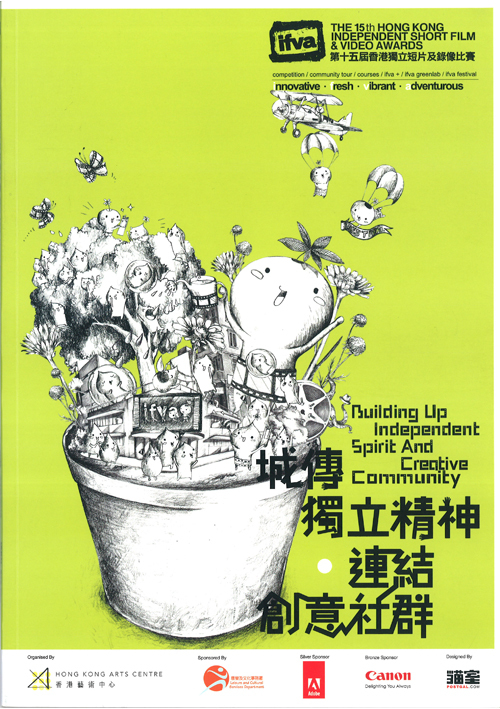 A series of programmes under the umbrella of “Indie is…” will bring these winning titles to different communities in Hong Kong, by screenings at various venues across the city, upholding the “Cultivation” and “Engagement” mission of ifva. 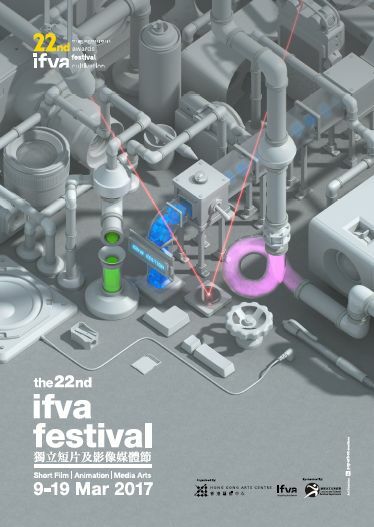 ifva starts with the awards, and many creative talents have indeed debuted their careers at ifva with their works in competition. This year works in competition are equally impressive, not only those by our finalists but also by those not making it to the final but recommended by our jury. 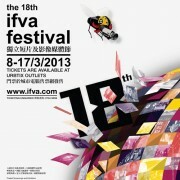 Let’s look forward to the new additions to the ifva award-winning collection at the award presentation ceremony. Apart from the award, ifva has developed meaningful projects one after another, with their fruitful results showcased during the festival. 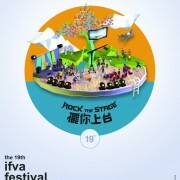 They include “ifva Young Filmmakers”, “All About Us”, “HONG KONG SHORT FILMS: NEW ACTION EXPRESS”, etc. CINEMA 2.0 has grown with ifva in the recent year. This year “Hard Cinema” will offer a new experience in media arts for all visitors. 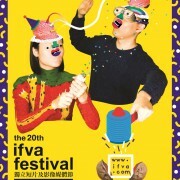 Looking forward to the next 20 years, we believe ifva can only become more exciting. But the most important thing is to have you continuing to be part of that excitement. Storytelling Series” to be screened in two programmes. Adam Wong has risen to fame recently with his The Way We Dance, and he personally selects a short film that has inspired him most – Fireworks by Shunji Iwai – plus other shorts by himself. Apart from meeting the audience, he is also hosting a storytelling workshop. Tan Chui-mui brings with her seven shorts to Hong Kong from Malaysia, and Taiwanese director Arvin Chen will share the stories behind his creations with the audience. As to media arts, we are presenting to you “New Playable Art” on game culture, featuring Tabor Robak and Douglas Wilson ‘s artworks and invites you to share the joy of gaming. The finalist showcases of the ifva Awards are still main attractions – so don’t miss their stories! ifva proudly embraces its 17th edition and continues its mission of encouraging hands-on creative practice and inspiring new concepts and ideas. With a history that spanned over 17 years, we have witnessed and facilitated the creation of numerous outstanding local video works. Besides showcasing award-winning pieces in the various competing categories, ifva host a DocuLab this year with master class to be hosted by renowned film editor CHEN Po-wen, coupled with seminar, workshops and screening programmes, so that the new generation can acquire not only the skill set, but also learn about preproduction strategies and review internationally famed master pieces. To achieve this, the DocuLab presented a programme of documentary shorts from German director Werner HERZOG. 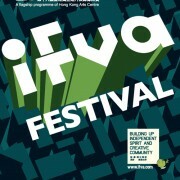 In addition, a fine selection from previous ifva award-winning documentaries was showcased in the Hong Kong International Film Festival – a good reason for yet another round of ifva alumni reunion. The 16th ifva teamed up with 7-Eleven and invited seven ifva award winners from past years to take part in that year’s ifva greenlab, presenting their new works inspired by everyday life in Hong Kong.ifva introduced a new programme called “Animation Lab” in which we partnered with GOBELINS, l’école de l’image from France to hold a master class and screenings. Live performance featured Transforma, a new media collective formed by German artists Luke BENNETT, Baris HASSELBACH and Simon KRAHL; as well as a sound performance by YAO Chung-han from Taiwan. Another internationally renowned artist featured was Ryusuke ITO, who specializes in exploring the spatial concept in expanded cinema. There was an exhibition of his works alongside the finalist works of that year’s Interactive Media Category. The 15th ifva‘s opening film was Tales from the Golden Age, written and co-directed by Cristian MUNGIU (4 Months, 3 Weeks and 2 Days) together with four other emerging directors from Romania. The film used black humour to recreate urban legends from the Communist era in that country, and offered a chance to re-examine that unique period, albeit from a slightly off-kilter perspective. In recent years, the world of animation has produced some of the most innovative works in any audio-visual medium. 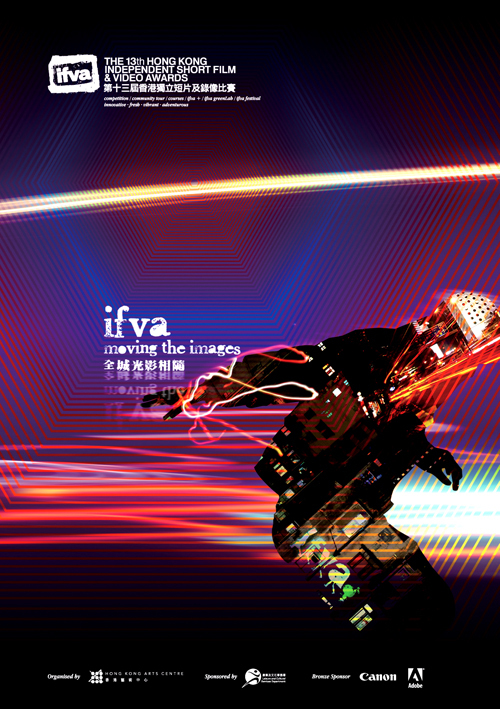 This edition of ifvafeatured a host of outstanding animations from Latvia, Korea and Japan. In its 15th year, ifva cast a glance into its past with a retrospective of award-winning and excellent works in the Youth Category of past years. Additionally, ifva featured some of the most notable short films from the French New Wave as well as Polish shorts from the 1970s that helped usher a new era in film and video art. Last but not least, there was a screening of works from the master class led by Mary STEPHEN, Éric ROHMER’s long-time editor. The 14th ifva‘s opening film was the Invisibles, an eye-opener to the greatest empathy and compassion, directed by Wim Wenders. “Moving the Dreams”, showcasing up-and-coming Taiwanese directors, highlighted our affectionate embrace to local culture. The dreamlike sight, sound and vision in “My China Now” and multimedia performances by D-Fuse from the UK gave an imaginative reflection on our urban life, whereas the rhythm of movement pushed boundaries of the frame and body in “Selections of Jumping Frames Dance Video Festival”. 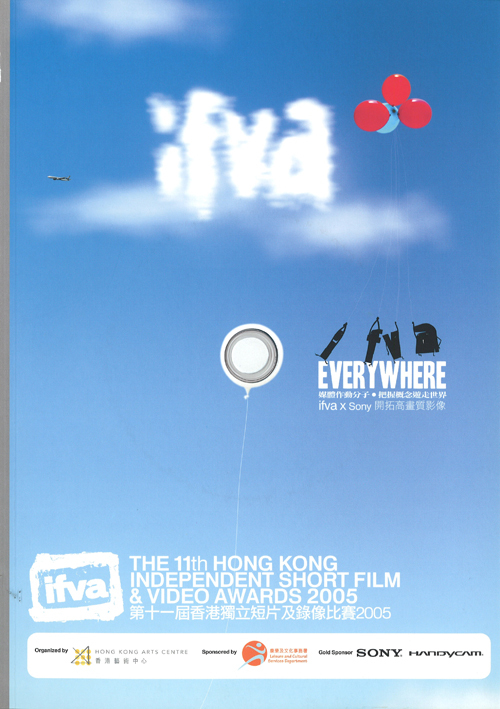 Also, this edition of ifva introduced the first-ever animation screening and workshop dedicated to children in Hong Kong. There were also outstanding works selected from the worldly renowned International Short Film Festival Oberhausen, Annecy International Animated Film Festival, Clemont-Ferrand Short Film Festival, International Documentary Film Festival Amsterdam, and shortlisted works in various categories of the 14th ifva competition. The 13th ifva invited Germany’s Ober­hausen International Short Film Festival, one of the most influential international short film festivals, to lead two programmes based on award-winning films from “A Gleaming Legend of Images”. 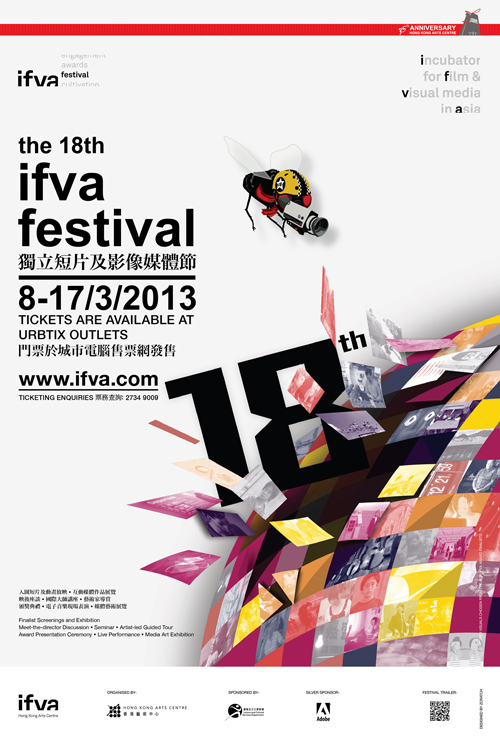 This year, ifva‘s “International Panorama” also offered to audiences a wide range of programmes, including “Sight and Sound Peru: Not Only a Resplendent Tropical Landscape”, “SVEMA Films: Ukrainian Shorts”, “Korean Animation: Not Only Tearjerking Soaps”, “Wisut Ponnimit: Dots of Yellow and Green”, etc. Local electronic music genius HO Shan@PixelToy joined new media artist Daito MANABE to stage an interactive extravaganza of sight and sound too. 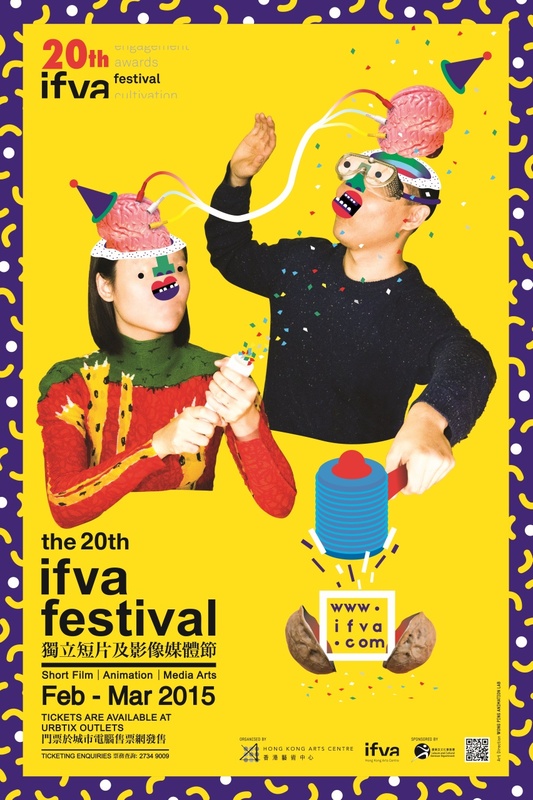 The 12th ifva was enriched by its feature of “Short Films from Poland: Heydays of 60 Years”, in which early short works of Polish masters such as Wajda and Kieslowski were premiered in Hong Kong, as well as international award winners. This year, ifva broadened our horizons by showcasing works of the European short film festivals and international animation festivals.Mir­rorball, the huge hit in the 11th ifva, made a comeback with Japanese shorts, animations and MVs too. Catching up with the hand phone shorts’ hit in China, “Chinese Shorts from Zonbo Media” took audiences on an unusual mainland tour. – What does this paragraph mean? 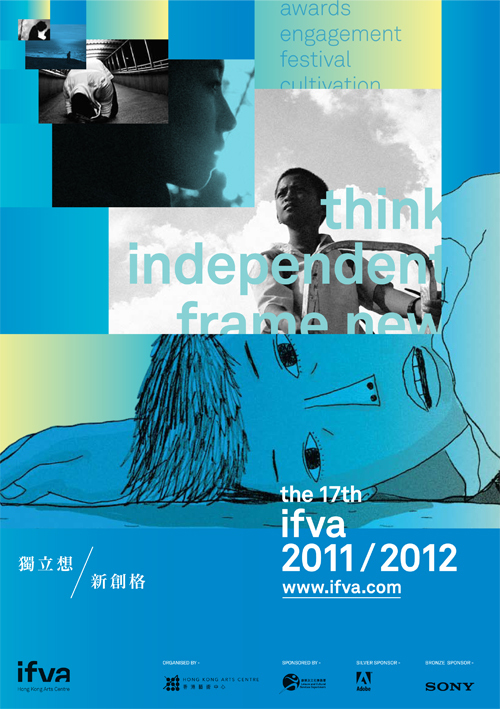 The 11th ifva introduced a series of programmes exploring and expanding the horizon of the world of light and images in Asian and European short films. 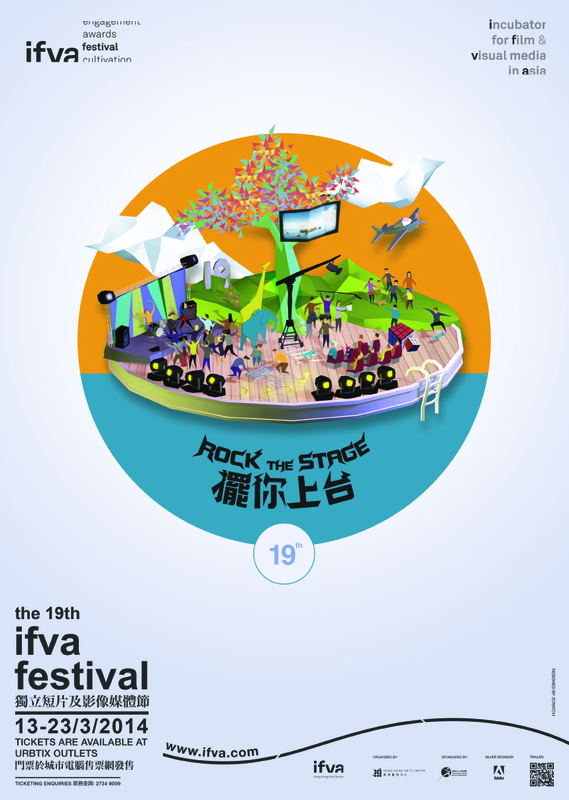 This edition of ifva also pioneered a trail linking mobile media, the internet, and theatres for creative concepts by showcasing China’s first series of mobile phone shorts and Japan’s Open Art internet shorts. Following its goal of Idea, Frame, Vision, and Audio, ifva presented “Idea, Frame, Vision, Audio Everywhere”, a new programme that incorporated remarkable MVs from Asia and other parts of the world and highlighted MVs from indie/alternative music makers. Expanding the limits of multi-media collaboration, we invited indie music makers to create MVs for live interactive sessions. To celebrate the 40th anniversary of creative media and its evolution from Super 8 to interactive media, ifva and Videotage introduced the special programme “Home Movies – from Super 8 to Interactive Media in 40 years”. To further promote and popularize video creation, YU Lik-wai and Jam YAU shared their HDV/Super 8 creative techniques in the Workshop.